From whipping up a brand new recipe to chatting with family over the counter, the kitchen is home to many warm memories. When you are assisting a client with a kitchen remodel, you need access to quality products to create the ideal design for their needs and budget. Their kitchen is an important extension of their home, something you want to honor with a quality remodel. Visit ProSource® of Houston-Sugarland, where we help trade professionals turn kitchen remodeling dreams into practical realities. 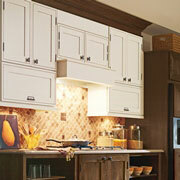 Providing both a functional use, as well as a stylish flair, kitchen cabinets are a must for any complete remodel. We can help walk you through the variety of material and design options provided at ProSource. A cabinet is a sum of all parts. 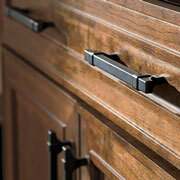 Don’t neglect the finishing touches found in quality cabinet hardware. Our team will provide specialized suggestions for handles, knobs, and other minute details. In many kitchens, the countertops take center stage, wrapping around the entirety of the room. 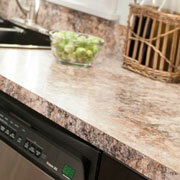 Quartz, granite, marble, and other durable materials will help to create a stunning style with ultimate functionality. 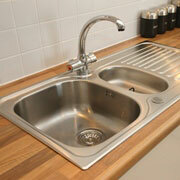 When you take the time to carefully craft a new kitchen design, be sure to pay special attention to the kitchen sink. Utilized frequently, this component can turn into a stunning design statement and tie your plans together. Sometimes it is the simple items in a room that help to create the most cohesive design. 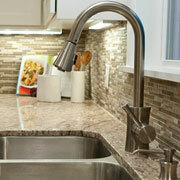 Browse our stunning selection of kitchen faucets at ProSource of Houston-Sugarland and find the perfect piece.